For a variety of reasons, I am personally and professionally a stickler on safety. When it comes to sleep environments, I never deviate from advising infants and toddlers are sleeping in environments that are totally safe. 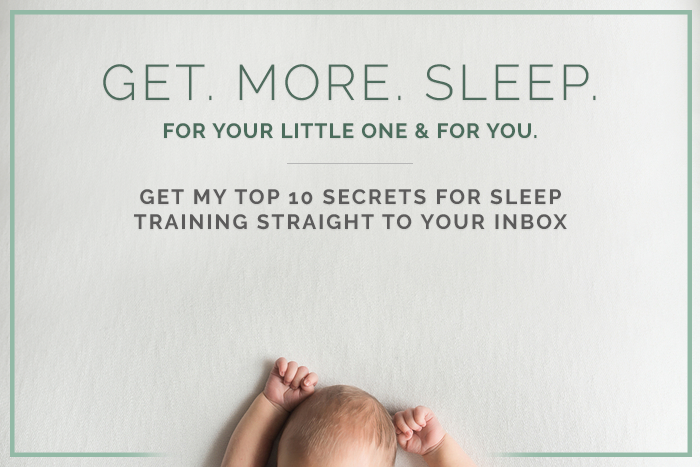 For the newborn stage, safe sleep habits are often ignored in an effort to produce longer sleep periods. Instead of going into a long discussion here, I recommend reading my newborn blog posts, and also reading the newborn chapter in my book. Suffice it to say that maintaining a safe sleep environment for your newborn is extremely important. Many cases of SUID are often not unexplained, and are attributed instead to unsafe sleep environments. For infants older than 4 months and below 12 months, babies should only ever sleep alone in a crib with no other objects inside of it besides a pacifier. There are literally no exceptions to this rule of an empty crib. You should never put any of the following objects in your infant’s crib: mesh bumpers, padded bumpers, Doc a Tots or any other types of sleep positioners, wedges, blankets, pillows, etc. Blankets in particular are often used in cribs despite recommendations that they not be placed in cribs until baby is 12 months of age or older. Like lovies (which the AAP no longer allowed or recommended), babies can place blankets over their faces and breathe recirculated air, and they may also become entangled in the fabric and quickly lose their ability to extricate themselves from different positions. As it is, many infants are just learning how to maneuver and control their bodies – blankets only further impede their movement and can cause them to become stuck in a dangerous position. If you are concerned your baby is cold, use a sleep sack. You can use one that is styled like a vest where arms are free, or you can use one that covers the arms and hands, but again make sure your baby is able to move themselves around freely, even if their hands are covered. Avoid the use of hanging mobiles over a crib as well, as babies can sometimes detach the mobile and become tangled in the mobile strings, or they may be able to reach the small components that make up the mobile itself that can be choking hazards. As noted in the SUID article above, it is vital for the health and safety of babies that all safe sleeping guidelines be followed closely all of the time. Two guidelines: room sharing with parents through at least month 6 (and preferably through month 12), and repeated attempts at using the pacifier through month 12, can often make it challenging to sleep train successfully. So if either of these safe sleep guidelines are making it difficult for your child to sleep well (due to arousal from sharing a room with mom and dad, or repeated night waking due to needing a pacifier re-inserted), discuss with your pediatrician whether it is acceptable to make modifications for your family. Do not ever deviate from the AAP safe sleep guidelines without discussing them with your pediatrician first. Beyond an empty crib, remember to place your child’s video monitor camera on the wall or a piece of furniture, so that it is totally out of your child’s reach (even for newborns and young infants). Finally, keep in mind once again, many cases of infants dying in their sleep are due to unsafe sleep practices, and not SIDS. I personally am aware of two families who had infants die due to unsafe sleeping practices, and I have made it a personal goal to advocate for safe sleeping at all times. For toddlers in beds, make sure their rooms are fully childproofed. This means strapping or bolting to the wall all pieces of furniture a child may climb on, strapping the drawers of dressers so that children can’t pull them out and use them as “stairs,” winding all blind cords completely out of your child’s reach, covering all outlets, and generally exploring your child’s room to make certain there is not a single object in their room they could hurt themselves with. If you are concerned your child may leave their room in the middle of the night and be unsafe walking around your home at night, consider using a baby gate in their doorway overnight so they are unable to leave their room (but can still call you if they need you). I also advocate for the use of video monitors for all children through preschool age, so that you are able to monitor them and hear them throughout the night and for naps. I know that many of these recommendations seem excessive. Through my work as a sleep coach, and being so close to thousands of families over the years, I can assure you that it only takes an instant for a child to injure themselves, or worse, in an unsafe sleep environment. Children, especially those who are sleep trained, spend more than half their lives from birth through age 5, in their bedrooms. It’s vital to make sure they are safe there so that they are able to get the rest they need without any risk to their wellbeing.